The Career Point University Hamirpur was established by the Government of Himachal Pradesh vide Act No 12 of 2012 under section 2 (f) of the UGC Act, 1956. The University is empowered by the University Grant Commission (UGC), a statutory body of Government of India, for the award of degrees under Section 22 of the UGC Act 1956. The University has about 1500 students and over 100 teaching/supporting staff comprising of renowned scientists, academicians and corporate leaders. The teachers/staff members of University are responsible and supportive. From the year 2012, the admission of meritorious students is increased by 1088% in five years. Campus is spread over 30 acres, surrounded with lower Himalayas at Hamirpur district in the state of Himachal Pradesh, India. 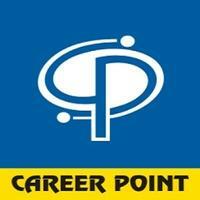 It was established in 2012 by the Himachal Pradesh State Legislature under "Career Point University Act". At CPU we follow time-tested, internationally acclaimed IIT & IIM based education system. We provide the range of courses in Engineering and Technology, Computer Application and Information Technology, Basic and Applied Sciences, Business & Managements, Vocational and Legal Studies. We are sincerely striving to produce employable youth & leaders by inculcating the right skills at the right time.